Google “STEM” and gobs of articles pop up encouraging the study of science, technology, engineering, and math in today’s schools. STEM is more than an acronym; it is a curriculum that high schools and colleges across the nation work to claim, scrambling to up their games, acknowledging the impact of these subjects on society: “STEM is not just coding and lab coats. It’s the underpinning of manufacturing, food production, health care, and so much more that frankly, we might take for granted, but surely can’t live without” (Idtech.com). Yet research shows that waiting until high school may be too late. Early STEM education matters because “The years from birth through primary school comprise a particularly rich time for encouraging the growth of curiosity and creativity necessary in later life…Fostering STEM learning at an early age helps children develop a can-do attitude toward careers in these fields” (Forbes.com). 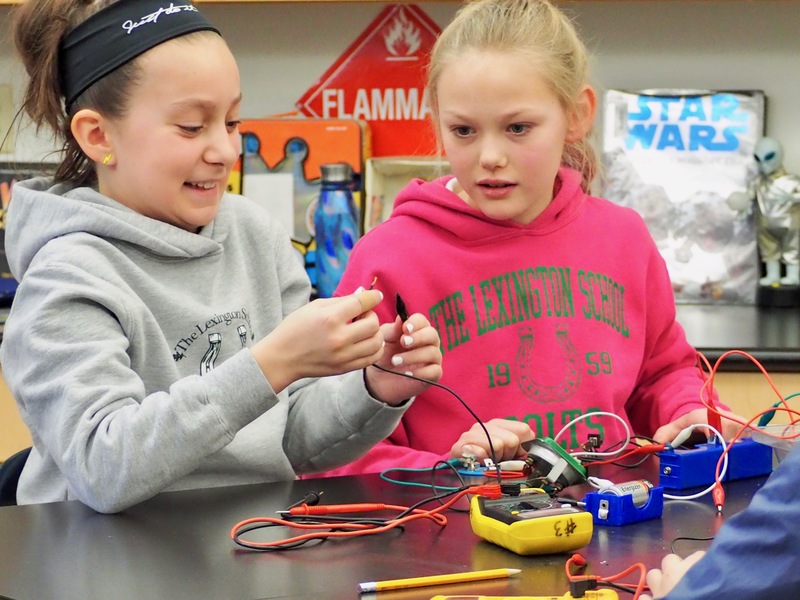 Building creativity, curiosity, and confidence in STEM…this is not new to The Lexington School. Rather, STEM education has been here all along, and it happens in preschool through 8th grade every single day in classes and throughout the school, even in ways you might not expect. How does a school establish a culture of STEM across grade levels and disciplines? It starts with the leaders, teachers, and administrators who take the time to learn more, to think creatively about curriculum, to stay on top of great ideas and pedagogy, and to work together to apply best practices in a way that engages students actively and curiously. Already, The Lexington School leads in Science. As early as 4th grade, TLS students experience as much time in Science classes as students in Fayette County high schools. Starting in Kindergarten, Science is a “Special” class taught by a dedicated teacher who sees each group of kids 2-3 times a week and engages them with topics like most recent ones: the human body (Kindergarten), animal classifications (1st grade), light and sound (2nd grade), and early Chemistry reactions and changes (3rd grade). Already, in classes that aren’t specifically Science, STEM is happening in unique ways, and we are eager to learn more and do more to help our young minds grow. Right now Una MacCarthy, incoming Head of School and enthusiastic lifelong learner, is visiting STEM schools in California as an add-on to attending the NAIS National Conference. She is eager to return to TLS to share with everyone what she has absorbed and ways we can take advantage of what the ONE School Project has in store. Coupled with the leadership of teachers and administrators devoted to the educational constructs of STEM, the ONE School project provides space for STEM pedagogy that will blow your mind. 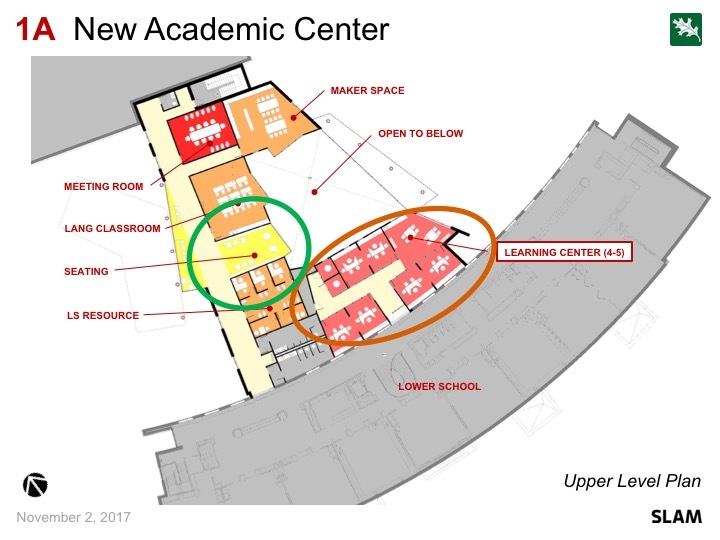 With a state of the art media resource center and a dedicated maker space among other physical improvements, the new additions bring a world of opportunity for teaching and learning. Our teachers are gearing up to take full advantage of this remarkable new space. And don’t forget about those Mission Skills,a close companion to STEM for obvious reasons. STEM isn’t just about the four words the acronym represents. It presents an opportunity to learn to think creatively and critically, a process that if executed properly, “You can learn pretty much all of the subjects as you move along in life. And your scientific disciplines play a very important role, and ground you very well as you move into positions of higher and higher authority, whatever the job is.” (Indra Nooyi, C.E.O. of PepsiCo, Freakonomics.com). Whatever the job is, The Lexington School is focused on giving its students the tools they need for whatever comes next. The jobs of the future are yet to be known, so we need to build futures one STEM at a time.